The siege of Leningrad started in 1941 and lasted 872 days. It is estimated that up to 800,000 inhabitants died, many from starvation. Bristol-based company Raucous use this horrific historical event as the basis for its new immersive promenade work, Ice Road. Written by Sharon Clark, four orphans in a dilapidated apartment block try to stay alive. 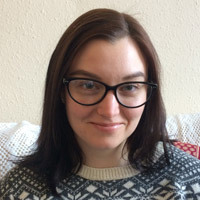 Director Kate Hewitt’s production combines animation (Aardman), projections (Limbic Cinema), original music (Timothy X Atack), audience interaction and more. The production credits read like a best of Bristol creatives and, housed in the cavernous, domed interior of disused Edwardian swimming baths, its nothing if not ambitious. The most awe-inspiring part is Conor Murphy’s snow-coated set, particularly the ramshackle monument of scaffolding at one end of the hall. The drama, however, is all in the design. Clark’s script is difficult to follow with crucial plot points obscured while the performers (Heledd Gwynn, Elin Phillips, Roanna Lewis and Alex York) frantically run and climb over the scenery. Atack’s score, inspired by Shostakovich’s Symphony No. 7 (Leningrad), is subtle and pathos-laden (it’s a shame not to hear more of it) but other aspects, including radio boxes worn by the audience that periodically broadcast snippets of stories, fragment the production. 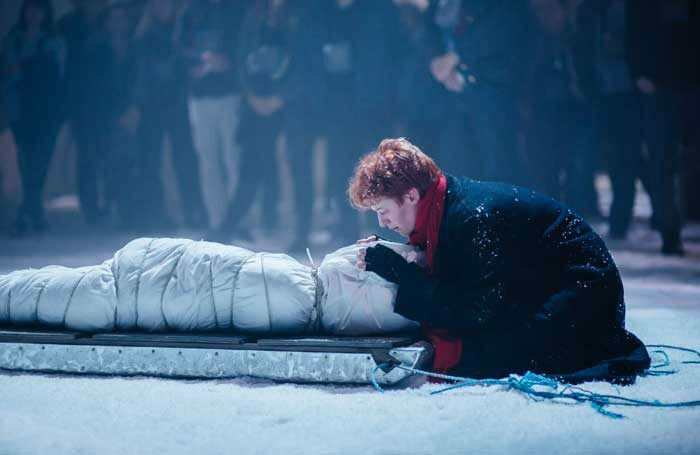 Immersive theatre is arguably focused on the entertainment of the audience and, as spectacle, Ice Road is impressive and frequently engaging. In fact, it feels frustratingly close to being brilliant were it not that the story itself somehow got lost among the sound, fury and fake snow.